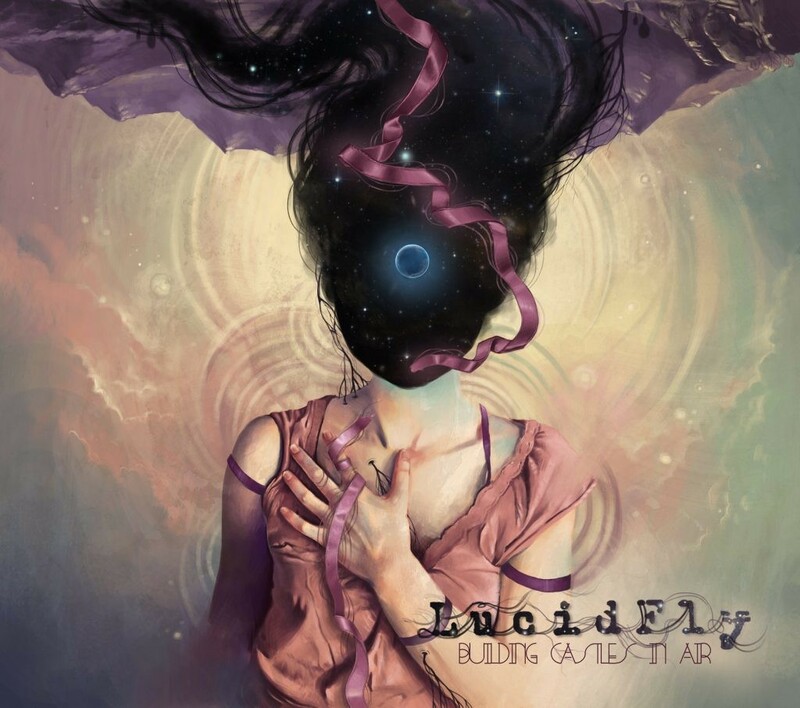 Female-fronted Progressive Metal act Lucid Fly recorded portions of their first full length album Building Castles In Air at the new I Create Sound studios in Santa Clarita, CA. Steven Leavitt produced and engineered bass guitar and vocals, and the album was mixed by Australia’s Forrester Savell (Karnivool, Dead Letter Circus). The album hits hard, but also has a very etherial quality as well. Lucid Fly just returned from Europe and will be officially releasing the album on November 11. 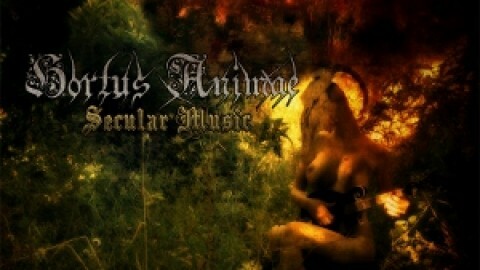 When European metal band Hortus Animae reunited in 2013 to make their album Secular Music, drummer “Grom” Meragviglia recorded drums with Steve in his California studio. 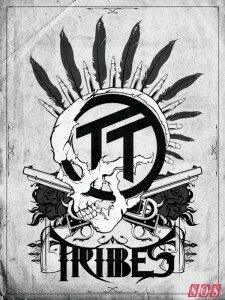 The record signed to Flicknife records, making this the first official label project Steve has worked on. How excited we all were to be reviewed in Sound On Sound! And the best part is, they liked the sound! Unlike the writeup though, singer Jessie Dean, who is quite a talent himself, did not actually engineer or mix the record. That was a misprint which no doubt was due to his impressive resumé working for Blue Microphones. But hey, I’ll take the compliment! 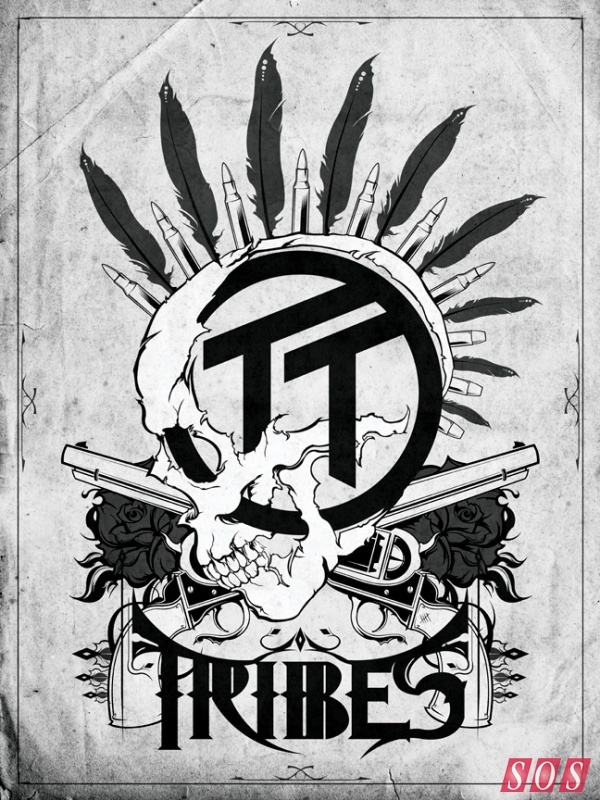 Steve just finished producing and recording Testing Tomorrow for their new project Tribes: an 11 song hard-rock album which is currently pending release while the band courts major-label support. Affectionately referred to as “Desert Rock” by the band, the album shares a sonic palate with early Queens of the Stoneage and Muse while exhibiting a bad attitude the size of Appetite for Destruction. This project has successfully raised its funding goal just now. Progressive Rock outfit Lobate Scarp successfully raised over $6,500 towards the making of their first full-length album Time and Space. The album will be mixed on a 52 channel console by Prog Rock veteran Rich Mouser at The Mouse House Studio in Los Angeles. We are very excited to have Rich on board because of his experience mixing and producing progressive rock outfit Spock’s Beard, who’s 2001 release “V” became the inspiration for Lobate’s title track Time and Space. During the Kickstater campaign, we made a video of how we recorded a 30+ member choir made up of all volunteers from the indie music community. If that wasn’t cool enough, we decided to have lead singer Adam Sears jump off a building. Now that the project is successfully funded we are full-steam ahead for the CD release date of 12-12-12. Thank you to all the backers of this project, friends, family, and strangers. We really hope you will enjoy the end result! Time and Space is the full length debut album by Los Angeles based progressive rock band Lobate Scarp. This ambitious album, which took nearly five years to record is sure to please fans of the progressive rock genre as well as music appreciators that are looking for something fresh for their ears. The album has over 55 minutes of original tunes, including the 15 1/2 minute title track. This video shows highlights of the recording process and was a lot of fun to make. I will be in Austin during this year’s SXSW festival. If you will be there and you want to connect with me you can check out one of two very cool events I will be attending there. Dry River Yacht Club is playing an unofficial showcase at Hole in the Wall with other bands from Tempe , AZ Friday, March 16th, 11am – 1am. (I wish I knew the exact time). Dry River Yacht Club is a very unique band with 9 members that is signed to a very unique record label called 80/20 Records. 80/20 Records is one-of-a-kind because unlike most labels, 80/20 gives an 80% royalty to their artists. Also, Rob Franco from The Venus Illuminato has a new Vegan Food-Truck calledArlo’s, which is brand-new and apparently is already winning awards. I will try to present any more pertainant information as I get it. Luke Wieting, a film composer I met at a Saundra Lord networking event sent me a quarterly update email to keep in touch and let me know what he has been working on… and it was the first time I’d EVER been happy to receive an email newsletter. Ever. You’re receiving this because we’ve corresponded, collaborated, or are otherwise acquainted, and I would like to share my whereabouts with you. This will only go out four times a year, but I don’t want to add another piece of unneeded mail to your inbox, so if you’d rather not be updated, please inform me and I’ll happily take you off the list. First of all, I remember Luke. We met at a Sandra Lord networking mixer and he made an impression. I enjoyed chatting with him about his composing and I made sure to listen to some work on his website when I got home. I have not had any need for or opportunity to recommend a film composer since we met so we hadn’t reconnected since I first emailed him, but I definately liked his work and wanted to keep in touch. The problem is, I get TONS of email. Think about it, if you’re like me and you know a lot of artists, what do they all want to do?… get you on their newsletter right? That’s all well and good, except for me, I tend to get visual inbox overload, which makes me miss important emails because I simply do not always see through the weekly clutter. This issue has forced me to unsubscribe to pretty much every newsletter I get, including the non-musical ones. I now manage all my subscriptions through RSS and only read those in my spare-time. What this means is that I often miss out on shows that my friends are playing close by a lot of times because I simply did not know about them, or if someone has released a new track maybe I catch it on Facebook or Twitter… not that I’d see any of that if I were subscribed to the email list anyway, because there is just too much information to process. 1. He let me know it was QUARTERLY. Luke’s resume is not a time-sensitive issue. As a composer he’s not selling me downloads or trying to get me to a show. What’s important for Luke is awareness. In other words does he stick in people’s minds enough to be thought of the next time someone needs scoring for a film. The way he handled this reminder lets me know that he respects my time and that he would appreciate staying in touch with me. 2. He used Blind Carbon Copy (BCC). Luke apparently is not using a mailing list manager. Well and with only 4 emails a year who needs one. One of the biggest and most annoying mistakes people make when sending emails to multiple recipients from their email software is posting multiple recipients in the To or CC fields. This is annoying on two levels, one, what if I don’t want everyone knowing my email address and two, now other people on that list can use and abuse my email address. Luke did it right. He used BCC. BCC means that I can’t see who else is copied on that email and that they can’t see me either. Its a show of respect, and savvy. Fujitsu Ten, Columbia College Chicago and The Fulcrum Point New Music Project teamed up to perform sections from classic soundtracks, and my score for “Beast” with a full orchestra conducted by Stephen Burns. Sound Reinforcement showcased Fujitsu Ten’s ECLIPSE TD speakers; they rock. 4. He let people know they could unsubscribe. This is just a good practice, period. Had Luke not done any of the above things his email might have gotten marked “white noise” by my brain and been skipped over, or worse deleted or unsubscribed. However, I was so overjoyed with the difference in this case that I felt like I had to write a blog about it! Good job Luke! Nice work too, by the way. If you’d like to check out Luke Wieting’s reel go to lukewietingmusic.com.